Verry Elleegant will start favourite in the Oaks to give Chris Waller 99 G1 wins before Winx runs. Chris Waller will be a central figure amid Winx celebrations at Randwick but he still has a stable to run and other races to win. Forty minutes before Winx has her final race in Saturday’s Queen Elizabeth Stakes, Verry Elleegant lines up in the Australian Oaks as favourite and perhaps the next superstar for the stable. If she wins as expected, Chris Waller will be on 99 Group One wins when he saddles Winx for the Queen Elizabeth. Verry Elleegant has earned her favouritism via a decisive win in the Group One Vinery Stud Stakes although her tendency to get distracted led Waller to put ear muffs on the filly. Ear muffs have played a part in the stable, most recently on Thursday morning when Waller whipped them off Winx as she was in front of the cameras. That was a mistake as the mare proceeded to remind people she is a horse not a car and kicked a large hole in the sponsor’s sign in the Rosehill mounting yard when the clicking of the cameras annoyed her. Winx ran second in the Australian Oaks as favourite four years ago, the last time she has been beaten. The Waller-trained Unforgotten won the race a year ago and Verry Elleegant has pleased the stable over the past two weeks. “Barrier 12 is our only concern but we have a good jockey aboard who knows the horse very well,” Waller said. “We will simply leave it to James (McDonald) and see how she is travelling for the first 200 metres and he will work out where she needs to settle. Waller also has the lesser performed Romani Girl in the race but believes she can step up to the class. She finished 10th, but only 2-1/4 lengths from the winner Aliferous, in last week’s Adrian Knox Stakes. 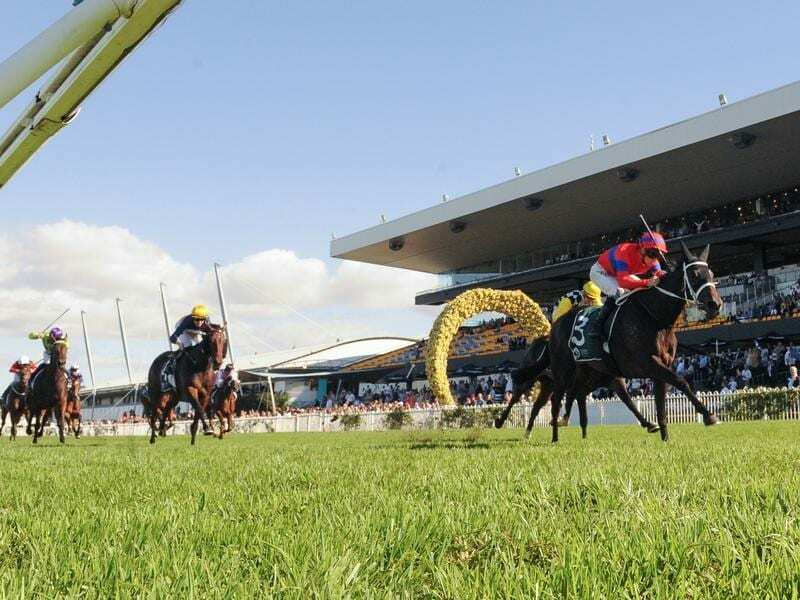 “She drew awkwardly last week and got a long way back but she still managed to find the line well,” Waller said. “Based on that run we thought she had a rough chance of being competitive on Saturday and therefore she lines up with Tom Berry in the saddle.